The home featured in a recent episode of HBO's "GIRLS" (the one where the gang escapes to North Fork) is available for rent, reports Gothamist.com, for $10,000 a week. 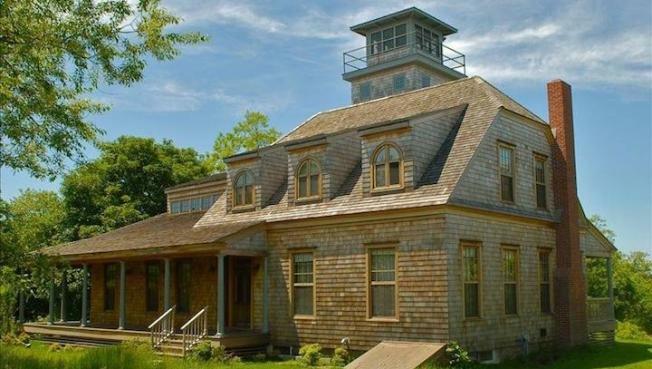 Referred to as a "magical tower and romantic house with private beach and pool" in the homeaway.com listing, the Long Island home has 300 feet of private beach plus a 50-foot pool. The tower is five stories tall, providing views of the beach. Inside, there are six bedrooms, four bathrooms, and a 65-inch TV in the living room.The large kitchen table, which seats 14, is "perfect for the ultimate dinner party." See more photos on Gothamist.com.